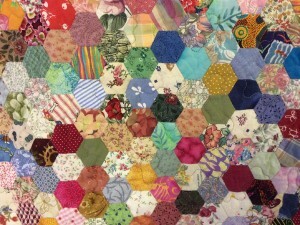 Linda made her hand pieced hexagon quilt ‘Happy Scrappy Hexagons’ quilt for herself. It incorporates 3774 pieces of scrap fabric which came from her sewing projects over the years, as well as donations from quilt group friends and fabrics bought on a trip to America. In the second half of the interview she talks about her sewing groups, who grew out of the original class she joined to learn quilt. Linda also talks about her process making scrappy traditional quilts, her experiences of quilt shops in America and making quilts to sell. Amanda Davidge [AD]: This is Amanda Davidge, interviewing LK: in Lostwithiel Cornwall on the 19th January 2016, ID number TQ2016.004. Right Linda, your quilt that you have here, could you tell, tell us something about your quilt, what you’ve got a name for it and when it was made and something about the quilt. 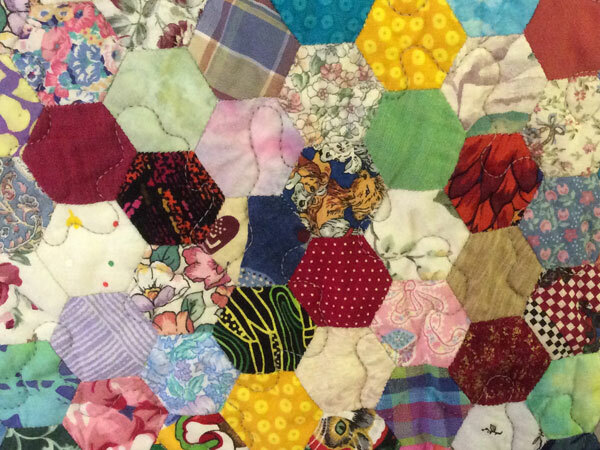 Linda Ketteridge [LK]: My quilt is made up of hexagons, the size of a 50 pence piece, there are 3,774 of them, all hand pieced, it’s totally scrappy, I’ve called it Happy Scrappy Hexagons and it’s taken me, on and off, five years to make. It went in the summer house in a carrier bag and was put away for about 12 months because I got sick of the sight of it, and then I got it out again and was really inspired to finish it and it is for myself, the first thing I have ever made for myself. I always promised that one day I would make a quilt for myself and that is the result. AD: Gosh, can you tell us about the different fabrics in the quilt because there’s lots of them. LK: There is an awful lot of fabrics, I’ve been collecting fabrics for probably 30 years, you know, with the intention of making a quilt for myself. There are fabrics from my children’s clothes, there are fabrics from the girls that I go to a quilting group with, two of the girls are no longer with us, so that’s lovely that I’ve got their fabrics in my quilt. Clothes from my, from when I used to do dressmaking, curtain making, all sorts, fabrics from America fabrics that my mother-in-law brought back from New York, all sorts of fabrics. AD: So how long, you said it took five years, when did you finish it then? AD: And did you quilt it, how did it get quilted? 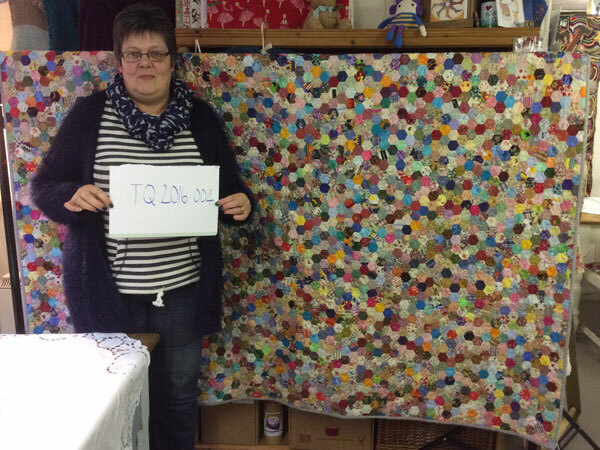 LK: No, I chose not to quilt it, because it’s such a big quilt, double sized quilt and it’s quite a busy quilt, with all the different fabrics, I sent it away to a lady at Butterfly Quilters at Kilkhampton and she did it on a long arm machine for me. The pattern, the quilting pattern is what they call vermicelli is just an overall meandering, I didn’t want anything too busy to take it away, to take it away from the quilt and it is just done in a very pale, grey thread. AD: And what are you, what have you done with the quilt and what are you going to do with it? LK: Well, to be quite honest with you, it’s been in a plastic bag ever since it’s been finished one day, once our bedroom has been remodelled it will go on our bed. AD: So this was the first quilt that you made for yourself, what other, so can you tell us a bit about your quilting journey, when you started and what you’ve made. LK: Ah, I learned to sew, knit, crochet at a very early age, I was probably about seven I suppose and I’ve always loved all, all sorts of crafts and art and I used to do sewing at primary school, you know progressing from Binca cloth sewing on Binca cloth and making peg bags, then went to secondary school and I did an O level in needlework, then went onto sixth form and did A level, ah but that was more, more about, I was quite interested in embroidery then, I didn’t really do any quilting. When I first started quilting I made like patchwork peg bags and just simple things, but always promised myself that I would make a quilt. I did a couple of things on the machine, but I do prefer hand piecing. I’ve made, I had one lady ask me to make a Dresden Plate double sized quilt which I did and I did not enjoy doing that because I felt very pressured and that was only worked in three colours so it was quite boring I felt and after I finished it, I said to her, ‘Shall we send it away to be quilted?’ ‘Oh, no, no’, she said, ‘I want hand quilted.’ So I had to do that. So I don’t know that I would ever sort of do one for anyone else again, but mainly what I do is, well I do sell cushions and bits and pieces and I make things as gifts, I, I you know I’m, I love to make things to give to people but only for people that I know that will appreciate it. AD: So with the quilt that you have here, it’s obviously very personal to you. AD: Are there any particular bits of fabric in it that represent, not just your family but maybe further, your, your family as a whole, any animals or…? LK: Yes, it’s got fabrics with dogs on and we’ve got the four dogs, the two spaniels and the lurcher and the little blue whippet, cats, I’ve got four cats. I’m a mad cat lady you could call me. I like, I said the children’s clothes, and I think my only regret is that when my mum died five years ago, I didn’t save any of her clothes to put in it. But, of course then that leads onto the fact that I found my dad after 45 years, who was living in Palm Springs in California and we’ve been out to visit him and I bought an awful lot of fabric over in Joanne’s in the States and my step mum also took me to the thrift stores where I bought lots of men’s cotton shirts, which I cut up and I have incorporated in the quilt. AD: So how did you, when you talk about piecing, can you just elaborate a bit more on how you actually made the quilt and where were you in time, where do you do most of your sewing? LK: It’s English paper piecing, it’s wrapped over papers. Very portable, project you know, you just can work a piece at a time and then join it together at your leisure, I do a lot of my sewing at work in the winter months, I work in a shop in Fowey and it’s very quiet and luckily my boss is quite happy for me to sit and sew, so I do use my time quite wisely and I have had a lot of people come in and of course they see the, you know, what I’m working on and you know, they are inspired. I’ve had ladies come back 12 months later to show me quilts that they’ve made, hexagons, you know and we’ve had photos taken together, so you know like, they sort of come back on a regular basis so I took my quilt into show them and they brought theirs which is lovely and one lady customer even brings me in scraps, yeah. When I went to America I actually the hexagons with me and when I was sunbathing by the pool, you know with the palm trees and the sunshine, I used to sit and do a bit of sewing, I find it very therapeutic. AD: Yes, what is it about patchwork and quilting that you like? LK: I like the fact that, I like scrappy quilts, that is me, scrappy, the fact that you just use, I only need a two inch piece of fabric for a hexagon, you know, so when people in the group are throwing bits away I’m there… ‘Oh, I’ll have that.’ Or now they just say to me, ‘Here you are Linda.’ So I have got so much fabric, I don’t know how many more quilts I could make. AD: So what, you say that you did A Level, needlework, but is most of your work, would you say self-taught? Or have you been on any courses? LK: I really started getting back into patchwork, oh, it was over eight years ago now, there was, there’s a lady called Gill Lester, who’s very well-known down here in this area, she actually started Gate Quilters many years ago, she was running a, an eight week course, a basic patchwork course to make a sample quilt, Nine Blocks and then she’s taught you how to piece it together and how to quilt it, blah, blah, blah and I went along to that, you know, I could piece but you know, I sort of went along and thoroughly enjoyed it and there was about eight ladies there and we all did our quilts and it was lovely the fact that we all did the same blocks but in different colourways and they all looked so, very, very different, that’s what I like about it, you know, it’s all, it’s all personal choice, and you look at one quilt and you know and you think WOW those colours are wonderful, I hadn’t thought of using those colours and you know, you bounce ideas off one another and we said to Gill, the teacher, you know on our last week, ‘Oh, we really like it, you know.’ So she said, ‘well, we can keep on meeting.’ And eight years down the line we still meet once a fortnight. We don’t actually, she doesn’t teach us anything anymore to be quite honest she often asks my advice and I say to her but Gill you’re the teacher. But it’s just a nice social gathering and yes, you know it’s nice to see what each other is doing and help one another. AD: Do you, is that the only group that you belong to? LK: That is, yes that is the only group that I, the only quilting group I belong to, yeah, yeah. AD: So when you are going to, you’re thinking about a project, how do you start? How would you go about making your quilt or the patchwork cushion, yeah how would you start? LK: How? Well like I said, I have got an awful lot of fabric at home and you know what it’s like, you’ve got your own favourite colours, and I always, when I’m making the cushions especially I always sort of tend to go for the pinks and the greens and the creams. How do I start? I don’t know, I just think I’ll cut a bit of this or I’ll have a bit of that and just put it all together and it all works, that’s the beauty of scrappy. With the cushions I do sometimes add a bit of lace, do a bit of embroidery, whatever takes my fancy, I just make it up as I go along. AD: What technology do you use when quilt making? Would you say you would you use, you’re a modern quilter or are you more traditional? LK: Oh no, I’m more traditional definitely. I do look on the internet, look at quilt books, Pinterest is another place to get lovely ideas, and yes, you know, sort of get ideas from that. With the hexagons I was very inspired by a lady from America, she is a quilt teacher, she’s called Bonnie K Hunter, and she has a website called Quiltville and she is an amazing scrappy quilter, she does a lot of her work is machine pieced but she also does hexagon quilts and again she does that when she’s on the aeroplane flying from destination to destination, she’s got what she calls her Busy Bag, her needle and thread, her scissors, her papers and her pieces of material and away she goes and that’s what I do, I have a Busy Bag at home [laughs] and I put it in my bag and you know, whether I’ve got an appointment or something like that I pull it out and you know the number of people that say, ‘Oh what are you doing? Oh, I used to do that, my mum did that.’ You know, it’s, it’s a lovely conversation piece. AD: Do you use a template, a cardboard template or do you do? LK: No, I send away online for pre-cut papers. This quilt that I’ve, that I made that’s here I actually cut all the papers out of envelopes, yeah, but I wouldn’t do that again. You can buy them quite cheaply online and they all are, you know, cut precisely and you know, when you are piecing it has to be precise. AD: How much time would you say you spend quilt making? LK: My partner would say I spend too much time, he says to me haven’t you got anything better to do? But, there you go. Quite a bit on my crafting I’m afraid, you know, if I wasn’t working where I’m working I wouldn’t spend much time at all, but probably two or three hours a day down in the shop, on and off. And then in the evenings I might sit for an hour in front of the TV, so yeah quite a lot. AD: Have you been to any quilt festivals or any exhibitions outside of Cornwall? LK: No, never, never, only the local exhibitions I’ve been to and you know the work there is absolutely wonderful. You know what it’s like with your mobile phone, you’re taking photos and you’re, oh, that’s a nice design, that’s a nice pattern, I’ll work that. AD: When you were in America did you, notice anything about the way that the quilt world is in America, did you meet any quilters? LK: No, only the shopkeepers and to be quite honest I went to one small quilt shop in oh it was just outside of Palm Springs and there were ladies at the back of the shop having a workshop, I didn’t like to intrude. The other shop, Joanne’s that I used is a huge, huge craft shop and the girls there really aren’t, you know, they just serve you your fabric, you go around with a trolley and just take, take your fabric to, the bolts of fabric that you want to them, you know, it’s absolutely mind blowing, it is honestly. I went more than once, I tell you, I used to say to Terry, just drop me there and leave me there for a couple of hours and I was quite happy, quite happy. Yeah, you know, I have still got a suitcase full of fabric that I haven’t really used, but I will one day. 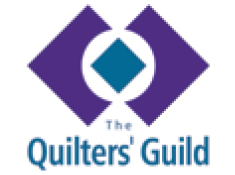 AD: Where do you see sort of like the biggest challenge for quilters today? In Cornwall especially, do you see there’s a big community of quilters? LK: Yeah, I, there are, there are quite a lot of groups locally, some are big, some are small, I’m quite happy with our little group, I, I’m, you know, I work so my days off are supposed to be spent doing housework and things like that but I do go to one little group, the other big groups are on days that I’m working so I can’t go, but I don’t know that I would want to go to such a big, big, big group. An awful lot of ladies, a bit like myself, hide their light under a bushel you know and there are an awful lot of talented people out there. AD: Do you sell any of your things that you make? AD: And are there any other places that you’ve? LK: Yeah. Ah another little place that I sell things is Gribbin Gallery down at Polkerris, you know Caroline likes all my work but to be quite honest, that’s not the right place because that’s more of a gallery for art. AD: Although some people would say your work is art. LK: Yes, it is, yeah, but people who go to that gallery, you know are looking more for paintings of the sea and things like that. Maybe if I did work in like the colours of the sea, that might be more appealing. Something to think of, I’m sure I’ve got enough blues and greens out there. AD: So you say you do most of your sewing in the shop that you work in. Do you have anywhere at home, like, that you have dedicated to your sewing? LK: Yes, I have got a little sewing room, yes I have, yeah which is lovely because you can leave it and just close the door on it. Terry keeps promising me that he will revamp it and put in more shelves and you know I know, I know exactly what I want but one day, one day, but yes, I have got a little sewing room. AD: Your work is very traditional, do you have a preferred style, or technique that you would say that you use or is an influence on your work? LK: The only I’d say is that all my work is hand pieced, you know I sometimes think maybe I was born in the wrong era and I should have been one of these ladies that was able to sit and sew and make things out of nothing really and I think that’s what patchwork is really all about, you know, you can go out and you can buy metres of fabric and they all are in the same sort of colour group, they all match, you know, but to me that’s not what it’s about. I prefer the fact that you know, the make do and mend sort of ethos I suppose, you know. Making something out of nothing really. You know pick the stuff that people don’t want. AD: So which we can see in the quilt that you’ve done. LK: Absolutely, absolutely, some of the hexagons are clothes that I found in the charity shop down the road, you know, I thought, ‘Oh that’s nice,’ cos I always look at shirts and think is that a 100% cotton, you know, I might buy it then and I save the buttons cos I put buttons on some of my cushions and decorations and things I make and yeah, just cut it up and maybe just use a bit of it, maybe you know, if it’s a favourite fabric I’ll use a lot of it, it just, it’s how the mood takes me to be quite honest, there’s no rhyme or reason. AD: So you could, would you say you were more thrifty with your spending? LK: No, I wouldn’t say that I am, [laughs] I like to think that I am, but I sometimes splurge, but there again you see, my dear friend, we’ve just lost my dear friend and I’ve been bequeathed all of her fabric and wool and it was a Land Rover load, so I’ve got to make something in memory of Teresa. AD: Yes. That brings me to my next question, what do you have in the pipeline that you want to do? LK: Well, I think I, I have got to use Teresa’s fabrics, she was a person who would go out and spend a lot of money on fabric, so there are some beautiful colour ways in all there, maybe not my personal choice of fabrics but I’ve got to make something, a lap quilt or something in her memory to put on the back of the settee. I think she’d be pleased with that. AD: So, for that, you might have to look for some kind of, would you look for a pattern or would you just look at the fabric? LK: I really don’t, I haven’t really thought about what sort of pattern I would use. She has got a bag of hexagons so there, [laughs] bigger than the ones I’ve used but again you see it inspired her and she has put them all over papers, beautiful rusts and creams and all, so I might make that up. I don’t know. AD: So… are there any other quilt makers in your family or are you the only one? Is there a history to your sewing within your family? LK: No, no I’m the only one. My mum was a very good knitter, she did a lot of embroidery when she was young and she did do a bit of dressmaking, but no quilt making and my grandmother was a beautiful crocheter but apart from that, no, it’s just me. My daughter is very, very arty, she does the most beautiful boards and all for weddings and chalk boards and all, but she’s got no interest in sewing whatsoever. I’m hoping that one day she will because you know, she’s obviously got the arty side to her and I say to her sometimes, ‘Oh, Hannah, do you like what I’ve made.’ ‘Oh yeah, that’s lovely mum, but don’t make me one’ [laughs]. 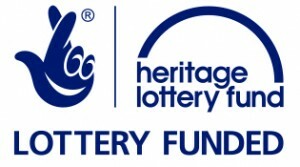 But I have said to both my children, my son’s not really interested I know, but I have said to them, if anything ever happens to me, please don’t give that quilt to a charity shop I said, you must keep it because it is a family heirloom.